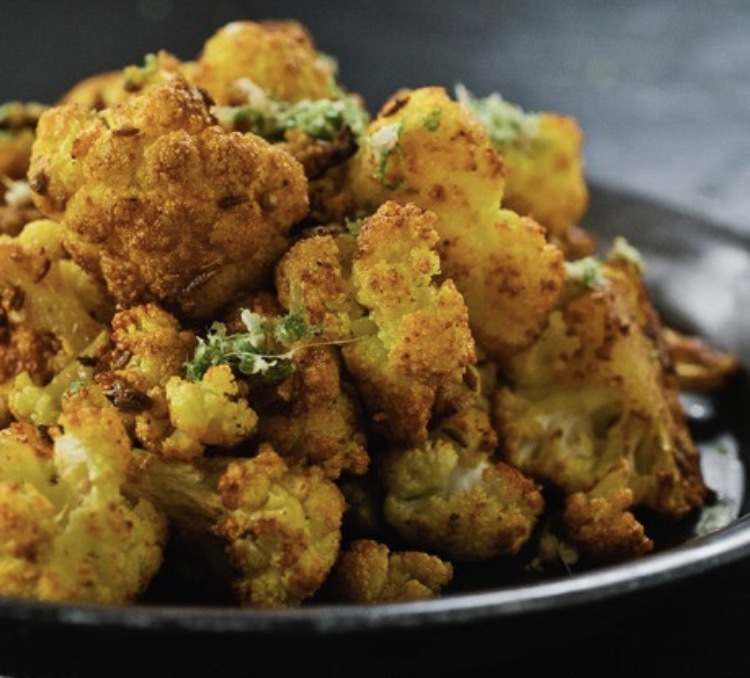 This roasted cauliflower dish will brighten any meal and is the perfect side dish. The browned florets is a sweet contrast to the intense aromas and flavors of the Indian spices. Preheat oven to 450°. Stir oil, coriander seeds, red pepper, cumin seeds, curry, and turmeric in a large bowl to combine. Add cauliflower and season with salt and pepper. Toss to coat cauliflower evenly. Arrange in a single layer on a large rimmed baking sheet (scrape any extra seasoning from bowl over cauliflower). Roast until cauliflower is brown around edges and crisp-tender, 15-20 minutes. Transfer to a platter and sprinkle cilantro and lime zest over. Serve warm or at room temperature.